BSNL Kerala Telecom Circle has announced the extension of FREE 3G SIM Offer for New and MNP customers from 17th December to 31st December 2016. As we reported earlier, BSNL Mela Offer for the month of December 2016 was available up to 15th of this month. Now the PSU has decided to extend its promotional FREE 3G SIM Offer further for another 15 days in an an attempt to boost its prepaid SIM sales. 300 MB Free 3G Data to all new prepaid mobile customers. 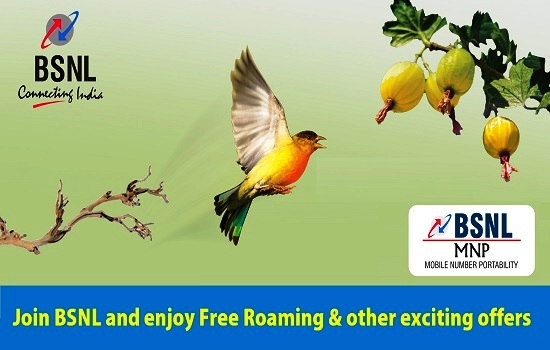 Customers who wish migrate their existing number to BSNL (through MNP) or those who wish to take new BSNL Mobile connection may avail BSNL's Free 3G SIM Offer. Recently BSNL increased 3G data usage up to 100% for its prepaid mobile customers in all telecom circles. Now 10 GB 3G data pack is available @ just Rs 549 for 30 days. For the first time, BSNL launched TRUE Unlimited 3G Data STV @ just Rs 1099 without any speed restriction having 30 days validity.